another day, another type of card. 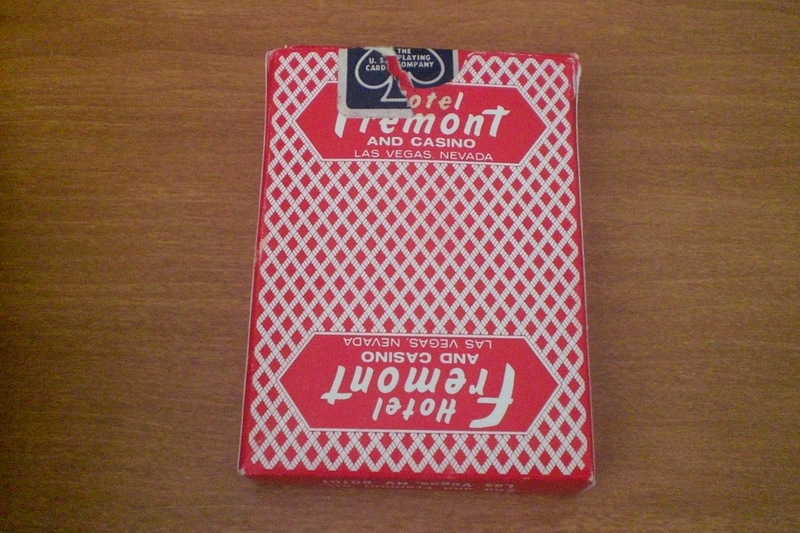 Front : Gemaco Playing Cards MADE IN U.S.A.
Left : DESIGNED AND MANUFACTURED BY THE GEORGE C. MATTESON CO, INC. INDEPENDENCE, MISSOURI, U.S.A.
Top : Casino Pro T.M. I forget…this came in some random huge lot of crap I got off of Ebay. The deck seemed opened/brand new when I got it. 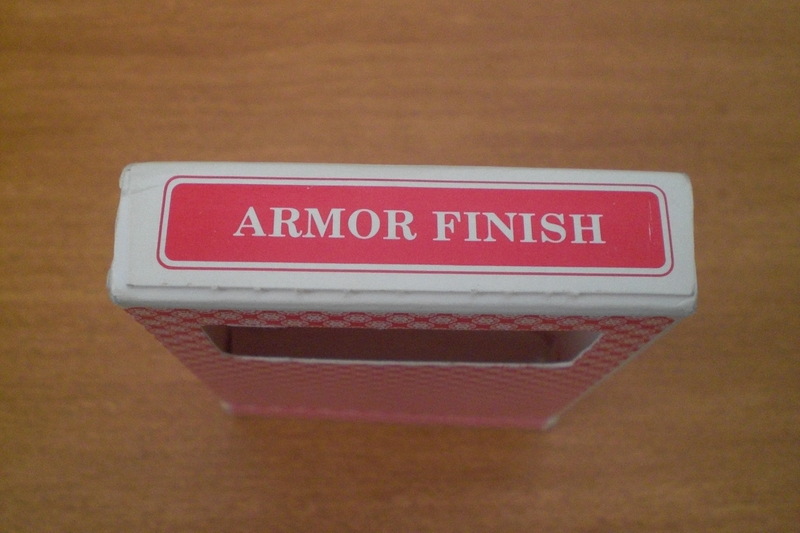 The box says armor finish. I love how they come up with these names. If I had my own line, I’d call it … uhh….who knows…? Naming is difficult. Fanning capabilities = above average. Snappiness,,, well done. They’re like PGC Professional Gambling Cards in terms of what I have in my stash. Except its Gemaco…perhaps an underdog of sorts when it comes to providing decks of cards for casinos, right after Bee and others…uhhh yea…seems like these would hurt if you use them for throwing. In the upper half as far as casino cards go. Not bad. The Gemaco is like a silly offshoot of bee. I should look into which came first sometime. I’d bet on bee…anyways… Instead of red diamonds, you have red circles. If you stare at them long enough, they go blurry. 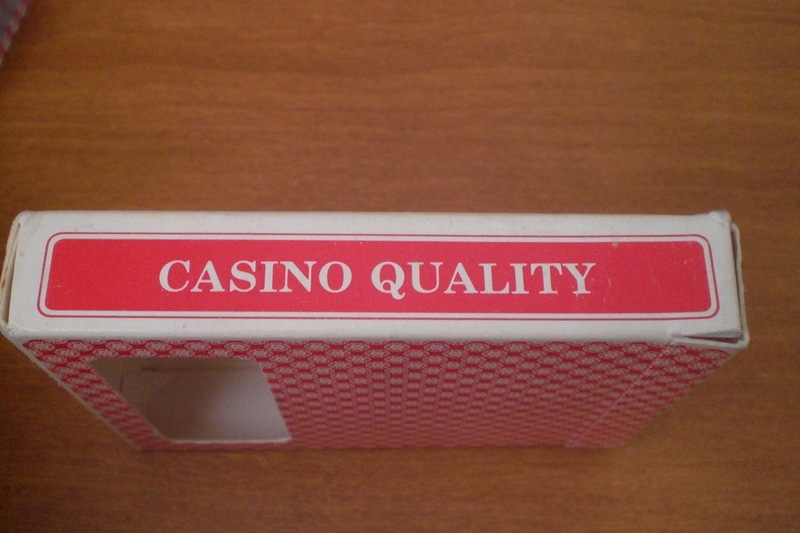 Casino logo doubles on the back, but that’s it….Standard casino fare? Gemaco : Please note that the court cards have a personality now. The cards are quite crisp. So you can actually hear them ‘shoot’ ,,, at least,,more audibly than say,,local retail store bikes. Which bend. Instead of snap. And shoot. Good stuff. Gemaco : Hat for two? 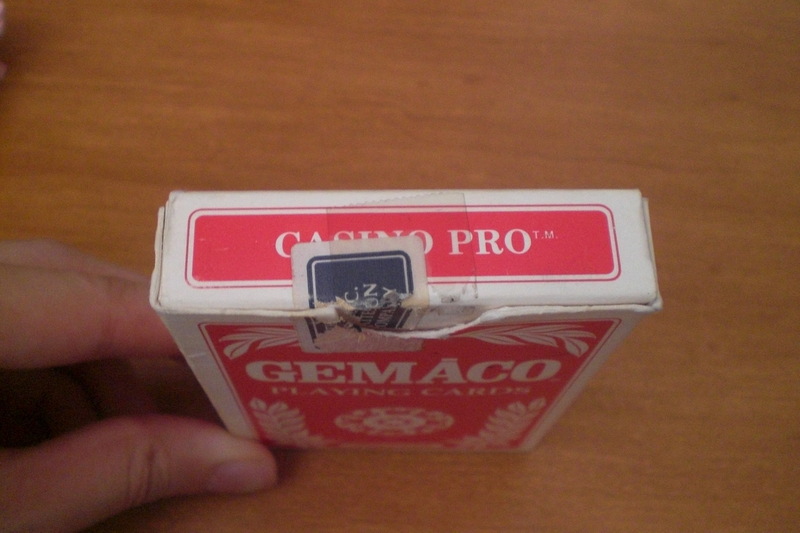 -Gemaco casino cards. They’re made in the U.S.A. These specific ones were made in Missouri for Carson City Nugget. Uhhhh. Right…The face cards are..amusing. The box has a cut out window. Cut out,,which means you should leave a joker on the box to protect the rest of the deck. I left the nine of hearts. And now its all spotty. Bleh. 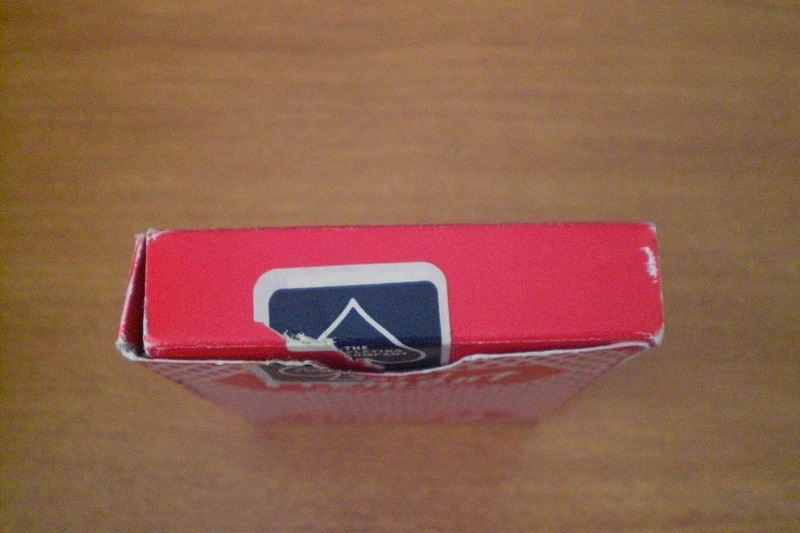 At least casino card boxes today have a film over them or no opening at all. Minus points there Gemaco. But its casino quality and armor finish. 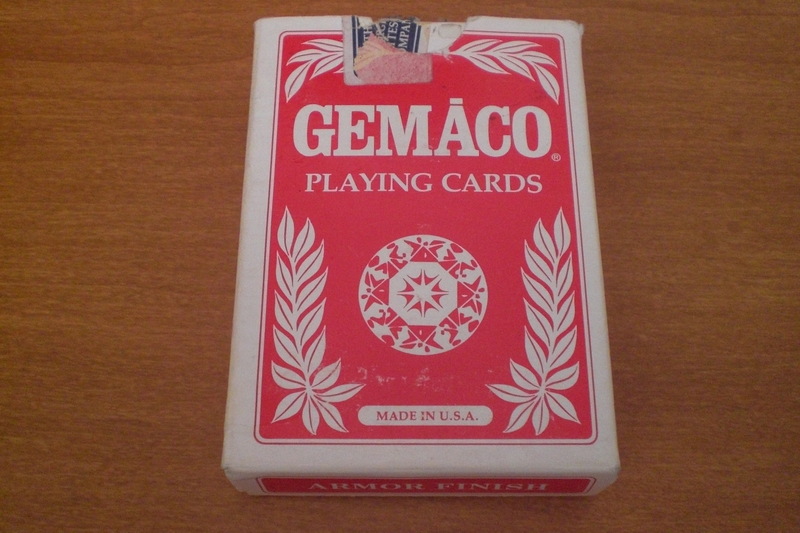 Love that name…hmm just noticed that the front of the gemaco box has that circle motif thing. Turns out that’s whats on the back of the cards. Gemaco cards seem to be the type you’d love to burn through for practice sessions. What are we doing today…Idling around during summer break. Playing pool. Playing piano. Playing cards. 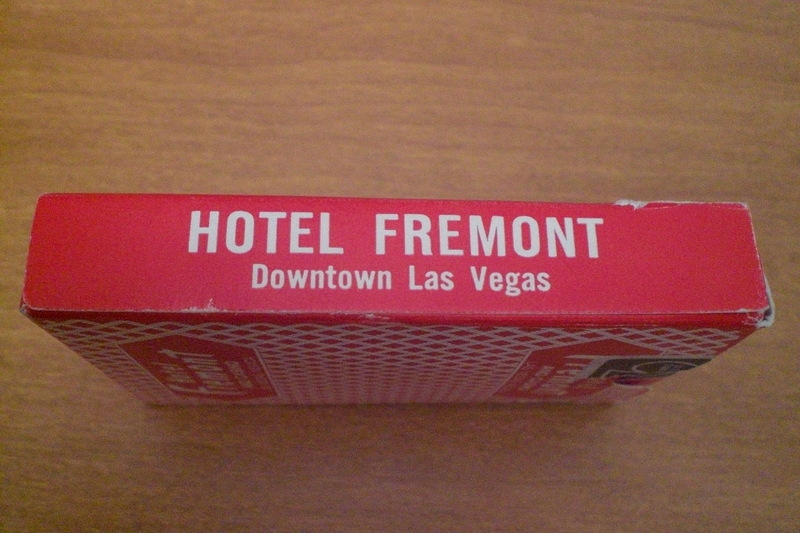 Back : Hotel Fremont and Casino Las Vegas, Nevada ‘bee 92’ back. 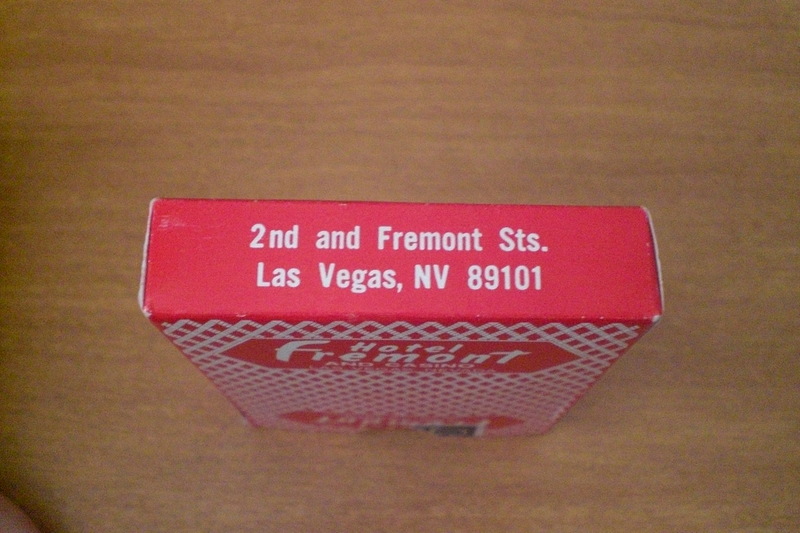 Ebay will run about 3-5$ on average for a piece of casino history. Being the ebay sleuth I am, this is good. 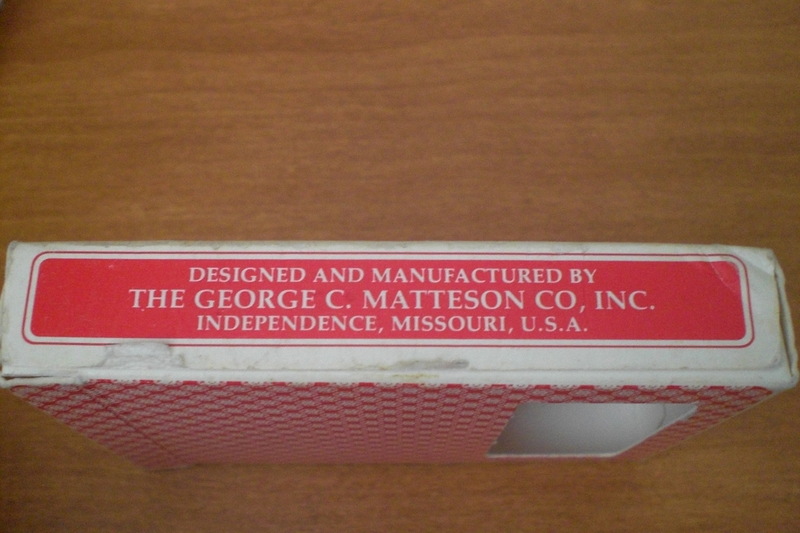 These occasionally show up on Ebay as lowly desired decks. Only idiots like me bid on these things. 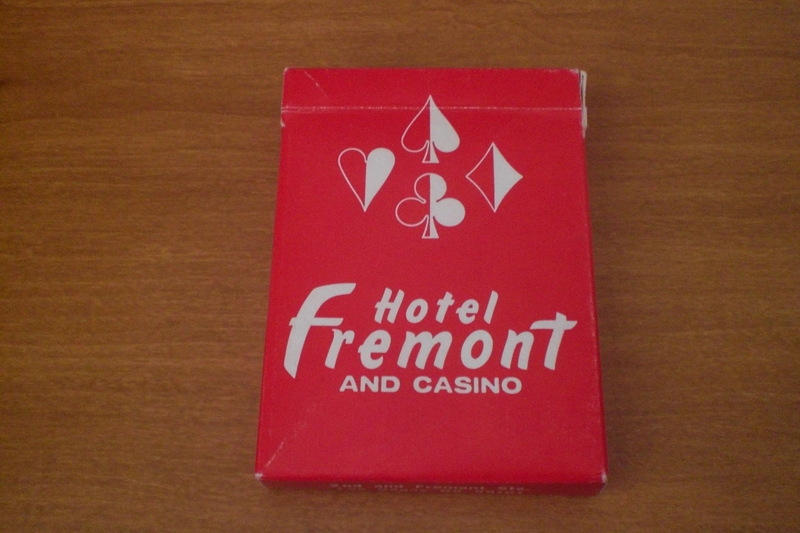 So, to me, casino cards from whenever this era was…are quite nice. Superflip feels the same as well. Age means they don’t fan,,but that doesn’t matter. This deck happens to be ‘bee’ branded, so that’s a plus. Stiffer than bicycles. Less slippery than standard bees today. Quite durable. Quite? Very Durable. Typical standard faro capabilities. Good enough for its age. 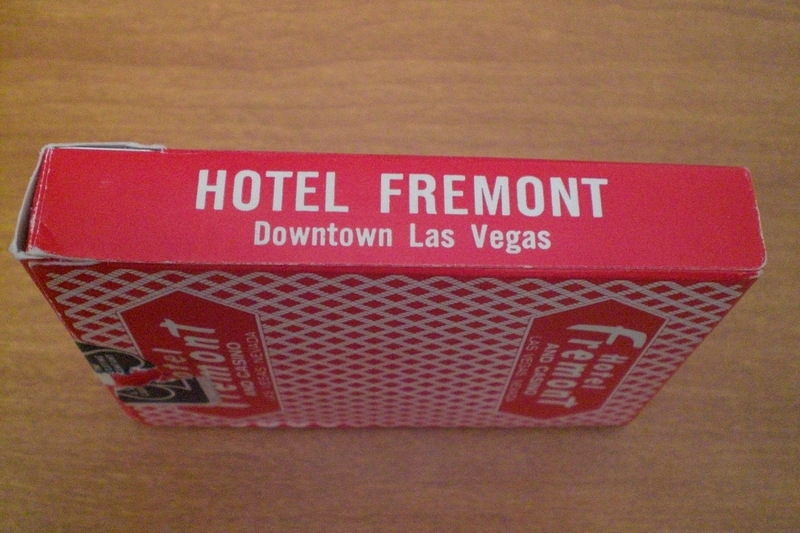 Red ‘Bee 92’ back with ‘Hotel Fremont and Casino Las Vegas, NEVADA’ etched inside a hexagon. Can you really call this a back design? Bee back cards favor gambling type sleights, so it fills its purpose. 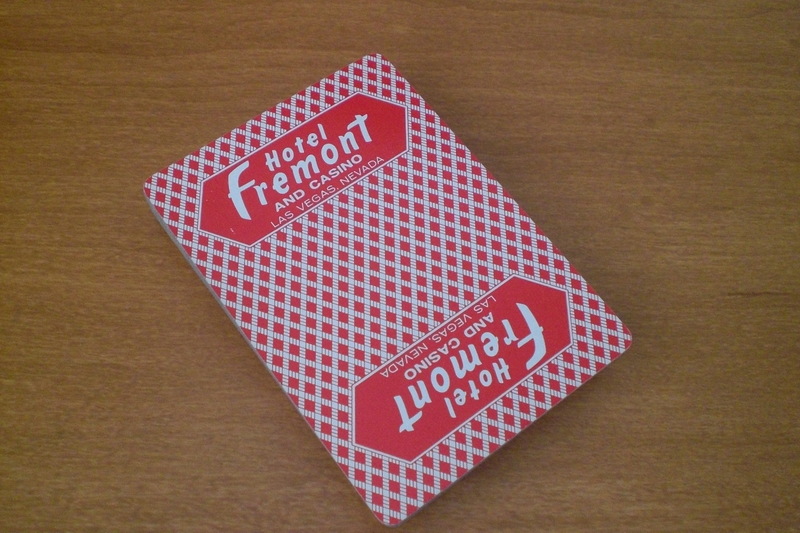 -Hotel Fremont! As far as vintage casino cards go. This one is available and has a good price to match it on Ebay. Of course, having white bordered casino cards (nuggets?) 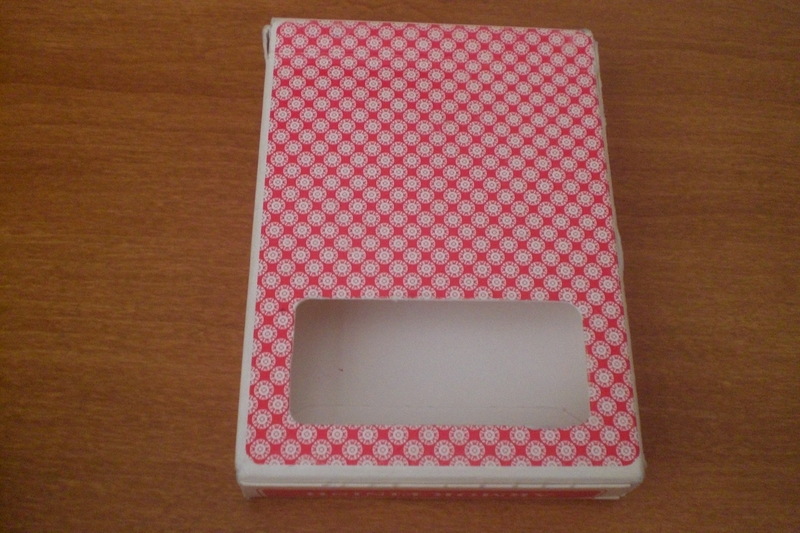 favor magic…but at the cost of price…maybe not…Nice box design. Simple Hotel Fremont with 4 suits on the front. Cant’ even tell they’re bee cards from the box. Excellent. Gets a plus in my list. Should go hunt down some more eventually.